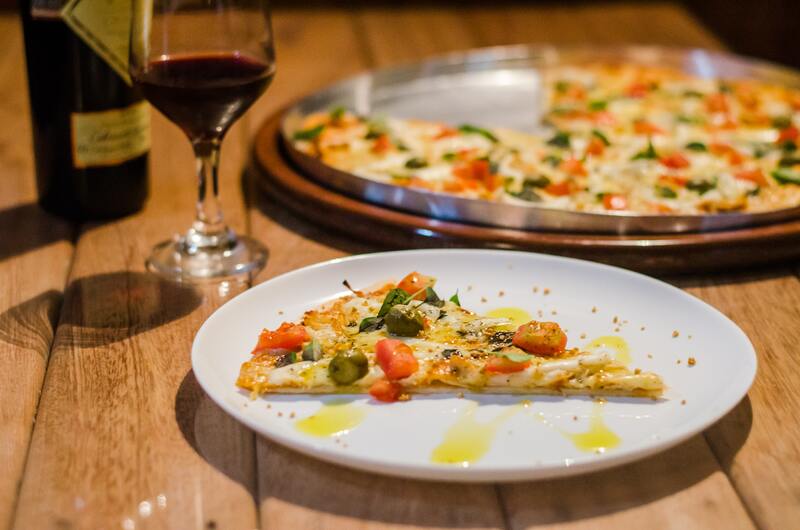 Managing inventory in a pizzeria is no simple task. Inventory accounts for the second largest percentage of a restaurant’s costs, yet according to the State of Small Business Report, 39% of small business owners still manage inventory using pen, paper and spreadsheets. Some don’t even take the time to manage their inventory at all. Inventory spoilage, waste, and theft directly impact your company’s profit margins, so they should be monitored with as much diligence as labour costs and cash. Taking care to follow a few best practices, and taking advantage of pizza-specific inventory software, allows restaurants to combat rising food costs by trimming waste. What are you doing to reduce food theft? Just monitoring your inventory, and letting employees know that you do counts regularly, can deter a lot of food theft even before it starts. Inventory software can do the rest: because it compares stock you should have on hand (based on sales recorded by the POS and recipes) to what you actually have on your shelves, any discrepancies can be detected quickly by running inventory reports. Missing food usually means either someone is stealing, or poor portion control and waste are eating into your profit. What is your process for burnt, dropped, and spilled ingredients? Your employees should have a process for reporting mistakes so you can monitor the amount of ingredients wasted. Once you are aware of which mistakes occur the most, you can take steps to correct them and minimize waste. help your staff use the exact right amount of each ingredient. Implement these tools, and take the time to properly train your staff on how to use them. Are you using a pizza-specific inventory software? Inventory software that is integrated with your point of sale system monitors the amount of ingredients sold, which you can compare to ingredients used. 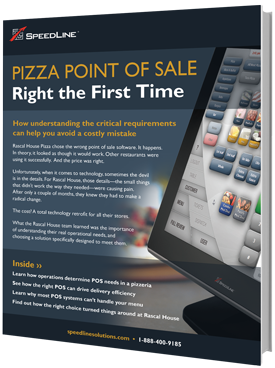 While there are many software solutions for restaurant inventory, few are able to handle the added complications of create-your-own and half-and-half pizzas. An inventory software designed for pizzerias, however, can handle complex recipes. In SpeedLine Inventory, a topping matrix is used to simplify setup and accurately track food costs. Are you using your oldest ingredients first? The first-in-first-out (FIFO) method reduces spoilage by using up older ingredients before getting into the fresher ones. For fresh ingredients, Make/Ready/Discard slips printed from your POS can be used to quickly label each prep item with the the date it was made, when it is ready to be used, and when it needs to be discarded. This is the best method for reducing spoilage, and it also helps to protect your customers from food-borne illness. Inventory is a big expense for all restaurants, and if not managed correctly will cost your business a lot.